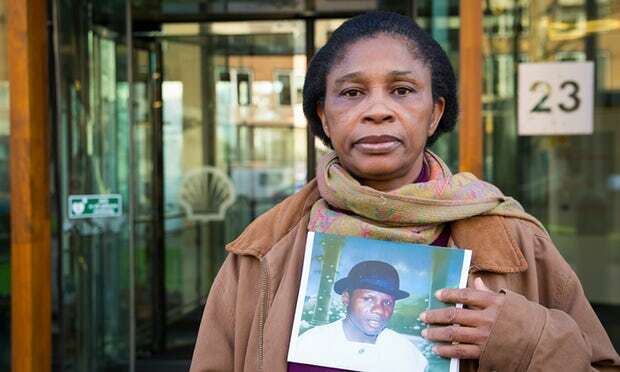 The widows of men who were hanged by Nigeria’s military government in the 1990s have launched a civil case against Shell, accusing it of complicity in their husbands’ executions. Esther Kiobel, the widow of Dr Barinem Kiobel, and three other women whose husbands were hanged in 1995, served a writ in a Dutch court this week, following a 20-year battle with the oil giant. Kiobel’s husband was executed along with the writer and human rights activist Ken Saro-Wiwa, and seven other men, who became collectively known as the Ogoni nine. They were hanged in a military court following a peaceful uprising by 300,000 Ogonis against Shell’s widespread pollution in Ogoniland. The men had been convicted of the murder of four leaders in the Ogoni community, who were opponents of the uprisings against Shell. The trial, which was widely discredited, sparked international outrage and led to Nigeria’s suspension from the Commonwealth. Amnesty International, which has supported Kiobel’s legal team, has accused Shell of complicity in the state executions. Shell has branded the allegations “false and without merit”. In a briefing published on Thursday, Amnesty alleges that Shell encouraged security forces and military authorities to stop the protests, even though the company knew this would lead to human rights violations. Amnesty also claims to have seen internal Shell documents proving that the company knew the trial of the Ogoni nine was unfair, and demonstrating that the firm was informed in advance that Saro-Wiwa was highly likely be found guilty. Shell is alleged to have offered Saro-Wiwa a deal if he “softened his stance” on the company. His brother claims Shell offered to help get his brother freed in August 1995, but that he rejected the offer. Audrey Gaughran, senior director of research at Amnesty International, said: “Shell had plenty of evidence that the Nigerian military was responding to the Ogoniland protests with abuse. Kiobel accuses Shell of complicity in the unlawful arrest and detention of her husband, the violation of his personal integrity and the violation of his right to a fair trial and his right to life. Her case will also accuse Shell of the violation of her own right to a family life. Kiobel is bringing the case along with Victoria Bera, Blessing Eawo and Charity Levula, whose husbands were also executed. The women are seeking damages and a public apology for the role they allege Shell played in their husbands’ deaths. The statement added that SPDC appealed to the Nigerian government to grant clemency. “Support for human rights in line with the legitimate role of business is fundamental to Shell’s core values of honesty, integrity and respect for people. We believe that the evidence will show clearly that Shell was not responsible for these tragic events,” it said.